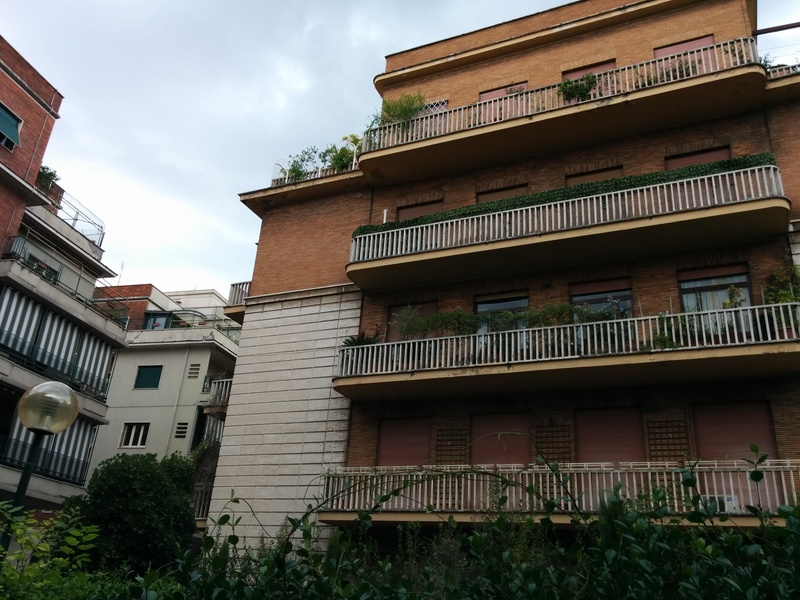 For being a mega huge city, Rome is surprisingly green. Some of that is because of things like a good plant climate and really rich people who had enormous estates that are now parks. But I have really been impressed by how much green the Romans squeeze into the cityscape. They put trees and bushes between buildings. 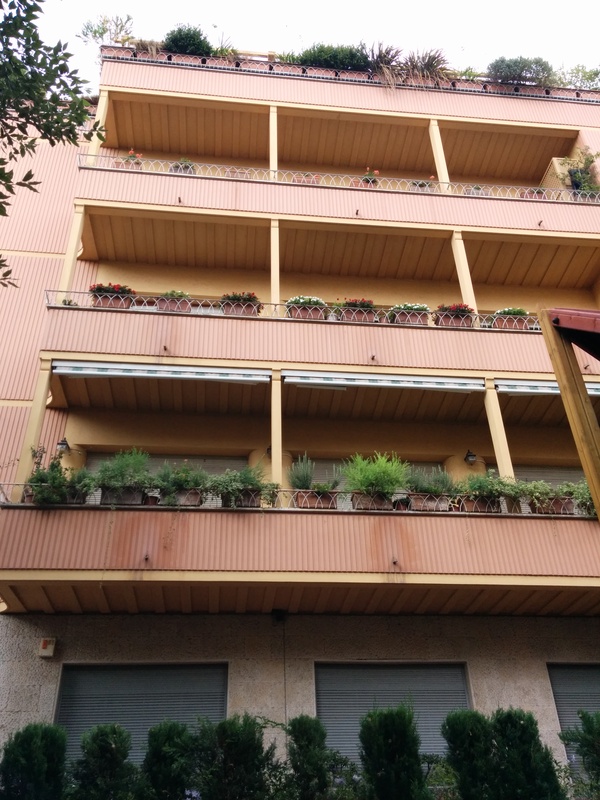 Generally all the balconies are chock-full of plants. Very beautimous, as my grandmother would say. Here are few examples. I can’t say these are the most beautimous or best in the city but they show a pretty representative sample of what I can see near our apartment. Here, I love the plants that “flow down” (I’m sure there is a more technical term) on this one. These you can see from our local playground. The windows look boarded up but those are just the Roman shades. I’ll post more on them later. They are pretty cool. Note the built-in window boxes. 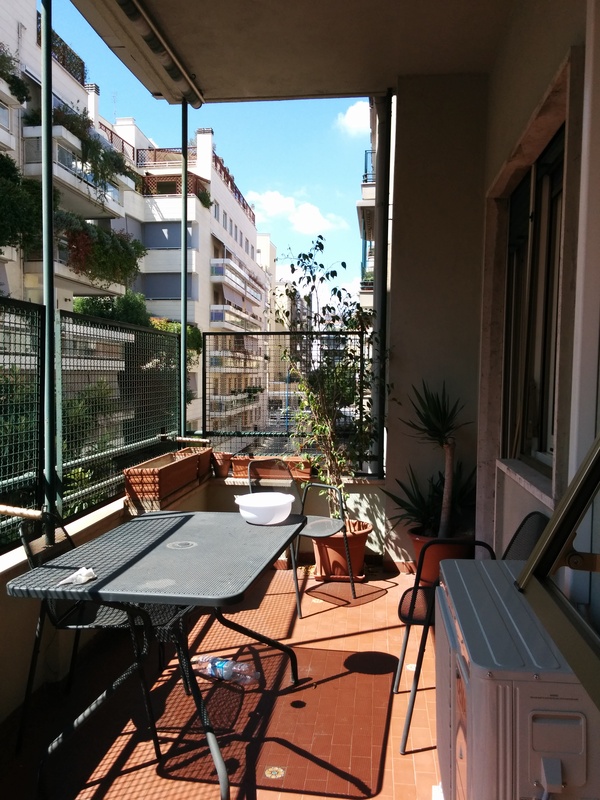 And here is our little balcony. Not the absolute worst, but we could definitely step it up in the greenery department. I’m sure James will get on that next spring. Maybe other cities to take a page from Rome on this? 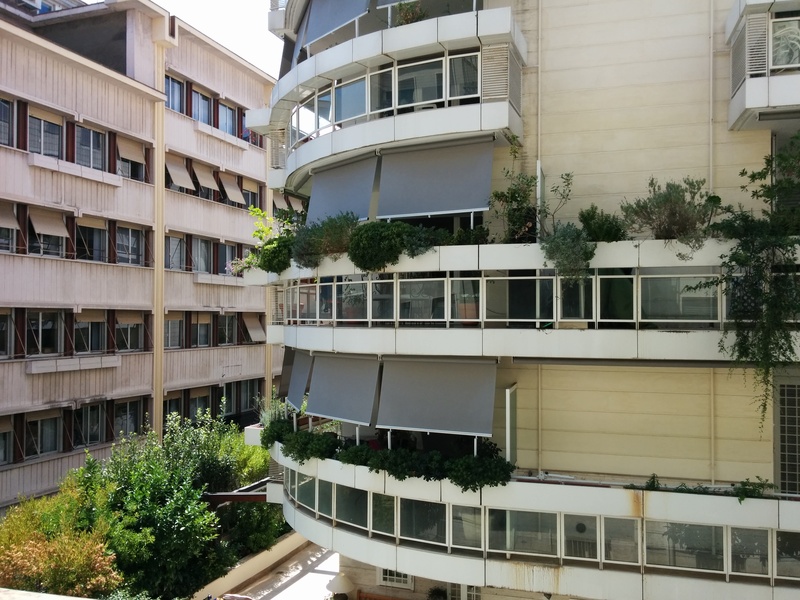 According to an interesting trend report of the 2015 Ikea catalog, “In less than 20 years, 70% of the world’s population will live in cities.” It seems there are straightforward steps you could take, like adding balconies and window boxes to new buildings. The mentality here that you should take the time to add and care for plants would be trickier to duplicate. 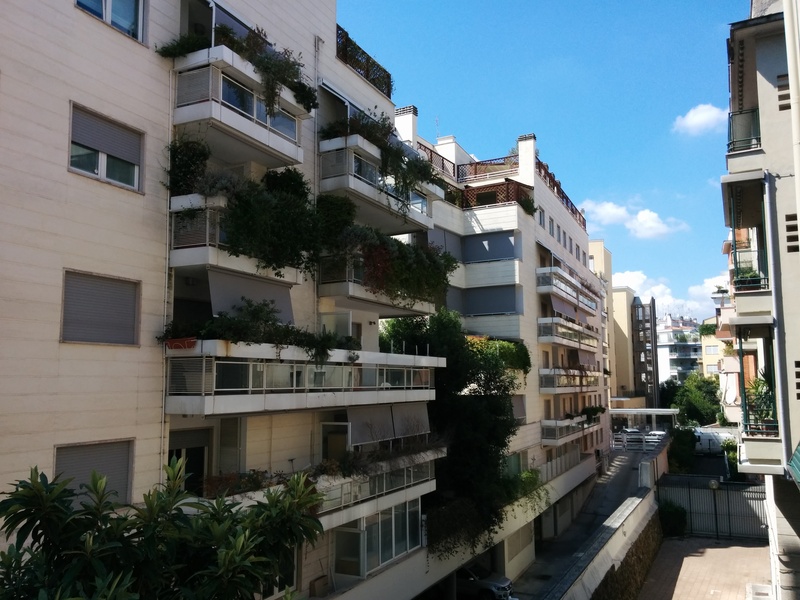 I find it interesting that, although there are scores of lovely balconies, I see very few people actually enjoying them. At least so far. This surprised me. I thought there would be lots of people out enjoying a glass of vino. Last night though I heard laughter around 10:00 pm. Now that people are back from their August vacations, I’ll have to pay more attention. Or maybe I’ve just been looking at the wrong time of day.